Measa Kummer on her horse, A Smooth Bunny, out of A Smooth Guy, during the Open 4D race at the Pink Buckle in October 2018. Photo by Olie’s Images. 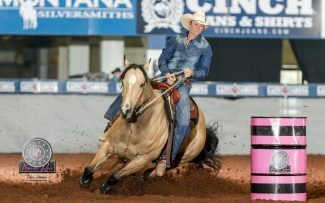 The Pink Buckle barrel race may be new, but it’s already attracting some big attention–and dollars–to the barrel racing industry and barrel racing sires. "It was the pinnacle for me personally and professionally, a highlight in my life," says Measa Kummer of her involvement with the Pink Buckle barrel race. 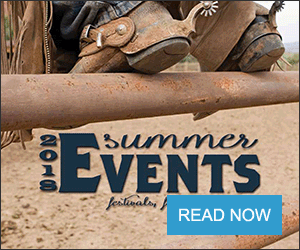 Kummer, with her husband and two daughters, manages a 10,000-acre ranch in Grover Colorado. Recently Kummer was asked to manage the social media and help coordinate the inaugural Pink Buckle in October 2018. The Pink Buckle Barrel Race is an Open 4D and Futurity. It is designed to increase the number and quality of barrel racing performance horses by promoting the Pink Buckle stallions and their offspring. Kummer had in the past set up a website called Sweetruns.com. On this site barrel racers could watch runs in slow motion and analyze techniques and mistakes by riders and horses. Her idea was to have viewers pay a subscription to the website where they could get valuable feedback and tips for their runs. "It was one of those things … you learn a bunch, you meet a lot of new people. I was educating myself. I tried something, and it gave me a lot of experience to go in a different direction," says Kummer of sweetruns.com, which is no longer active. Her new direction was to the Pink Buckle. The Pink Buckle is modeled after the Breeders Halter Futurity, which began in 2011. From 2011 to 2016 the futurity grew from 83 entries and a $266,000 payout to 711 entries and a payout of more than $1.2 million. Perhaps more significantly, the number of foals born to the nominated Breeders Halter Futurity stallions increased ten-fold, allowing for a 20 percent increase in stud fees. 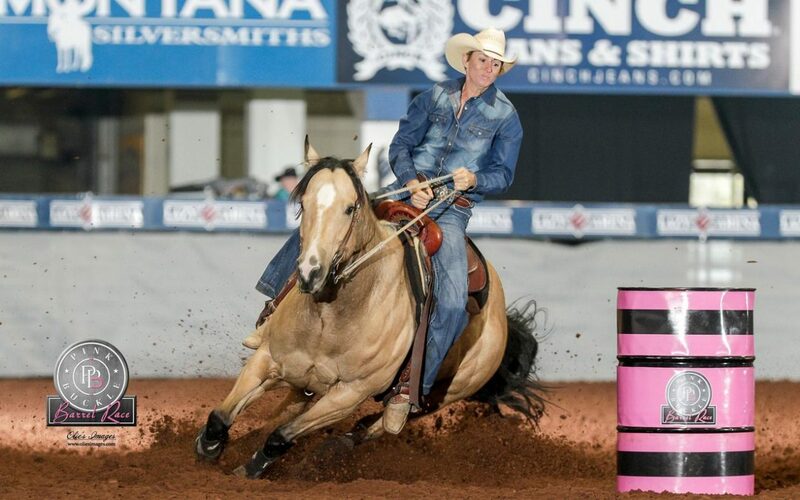 The goal of the Pink Buckle is to have a similar impact on the barrel horse industry. In 2018, the first year of the Pink Buckle, 40 stallions were nominated. Each stallion owner paid $25,000 to have their stallion included in the event, guaranteeing the $1 million pay out. All horses nominated to race in the Pink Buckle must have been sired by one of those 40 stallions. This year allowed horses of any age to be nominated, but in the future, only horses that have been nominated yearly, or that are nominated each year starting at birth, will be eligible to run. The high money winner for the Oct 2018 race was Vauna Walker and her horse French Goodbye, sired by The Goodbye Lane. Vauna won over $98,281, which included a trailer and three saddles. Kummer herself is very interested in the breeding side of the barrel racing industry. 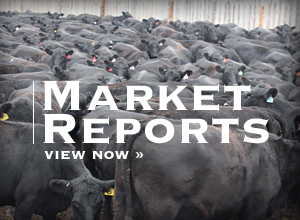 "The barrel horse industry is getting very specialized. We raise a couple of foals each year with the goal to campaign them at the barrel racing futurities," she says. Kummer says that specialization includes an early maturity, since futurity horses run at four to five years old. Their goal is to help stallion owners promote stallions that can help reach that goal, and to help breeders find stallions that fit their goals. "The blood lines are pretty important for your end product," says Kummer. "There are several bloodlines that are proven to be naturally good at running barrels, but there is also a lot of horsemanship and training that goes into the whole process and there are no guarantees." Kummer ran both her mares at the Pink Buckle; DR Laughing Irish, out of Irish Pay in the Futurity and A Smooth Bunny, out of A Smooth Guy in the open 4D. For her investment she took home $17,000, a buckle and a saddle. She says that she thinks a lot of her horses and considers them part of the family. There is a definite level of trust as she has no qualms about putting her children on either one of them. Kummer has a background in rodeo competition and went to college on a rodeo scholarship where she competed in goat tying and breakaway roping. She wanted to run barrels but never had a competitive horse for that event. In 2013, after a lot of research and planning, she and her husband bought a 4-year-old mare that was running at futurities and sired by A Streak of Fling. She had some amateur futurity success on that mare and her ambitions grew from there. "I've learned in my life that I want a horse that is good-minded. I look for programs where they raise, train and compete on their horses and use them for a variety of activities like ranch work or roping. I need a horse that I can do multiple things on," says Kummer. The Lazy E, located in Guthrie, Oklahoma, was the home of the debut Pink Buckle in October. It is known for its Quarter Horse and Thoroughbred racing breeding program. Its rolling green hills and extensive pastures with modern arenas and barns made it the perfect venue to start this shindig off right. "The Lazy E rolled out the red carpet for us," says Kummer. "The kids got to go fishing, we camped out, there were different arenas to ride in. There was a meal for everyone one night and everyone got to visit with the stallion owners at their individual booths. The vibe was really friendly and laid back." "We had an overwhelmingly positive response. All the stallion owners said great things," Kummer said. "The stallion owners are booking for mares earlier than they had hoped for this time of year and participants are sending in their nominations so that they can run their horses at the Pink Buckle race in future years. It has also increased the demand for prospects sired by Pink Buckle stallions. It's doing what it's supposed to do." They also did their best to take care of the competing horses and riders, and make sure everyone had a positive experience. "The participants were super happy. We raked the ground after every three runs instead of every five, like most races. No one was upset with their draw positions and contestants were very happy with the payout. Everyone involved in the Pink Buckle felt proud to have it all come together this first year and are excited for the upcoming years." Kummer couldn't have put in the long hours it took to coordinate this incredible event without the help of her family. Her daughters Gracyn, who is 12 and Elle, who is 11, worked hard to help out all summer and throughout the event, being "gofers," doing chores and helping wherever needed. Coy, Measa's husband, holds the fort down back in Grover so she and the girls can travel to the barrel races. The Pink Buckle was a risk to undertake, but Kummer has made it a priority and is looking forward to next year, with a payout that has already been raised to $1.5 million.